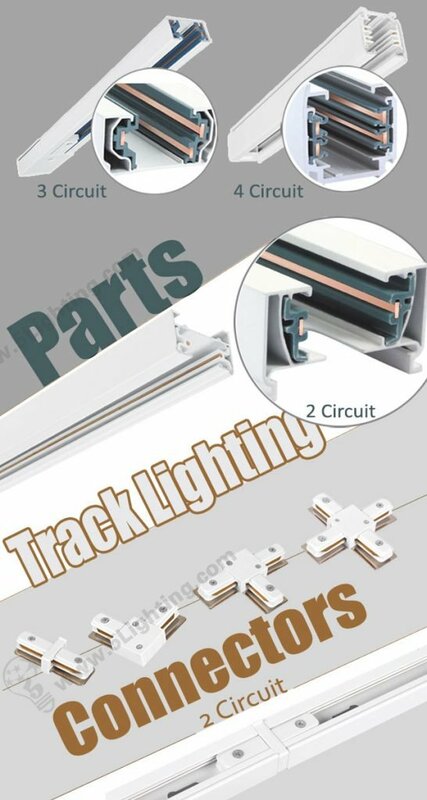 Track Lighting Parts & Accessaries, Easy Installation ! c): Great quality track light components adoptss red copper material as its conductive core, with excellent electrical conductivity, which creates great and stable illuminating effects. d): Our track light accessories offers four length type for options: 1 meter, 1.5 meter, 2 meter, and 3 meter, flexible and convenient enough for our customers to choose and match according to length requirements.